Creating a strong visual identity is crucial for brand recognition and retention. Mixed with a strong instore presence it is essential when standing out from the competition. Combining strong branding, independent looks with engaging POS/POP displays, ensure that your offering makes the appropriate dialogue with your prospective customers. When Richter branched into Digital Audio they needed to refresh their brand and make an impact along side other products in this competitive category. Working closely with senior management MD modernised their brand and presented creative for a full range of Digital Audio products that present a united style and brand with a unique look that stands out from the pack. For over 15 years MD has worked with Kikkoman Australia to offer ways to build their presence at the point of purchase. From recipe ideas on bottles to sales promotions / cash-back offers – these programs not only engage with the audience they increase sales. For over 10 years MD offered creative support to Kikkoman Australia in the creative, production and print management of their Retail Bottles and Cartons. The creative direction was to mix engaging shelf appeal design with clear communication to meet the consumers demand of ready to use sauces. Particular care and experince was required to meet GS1 guidelines with practical and purpose designed cartons for use by major supermarkets. 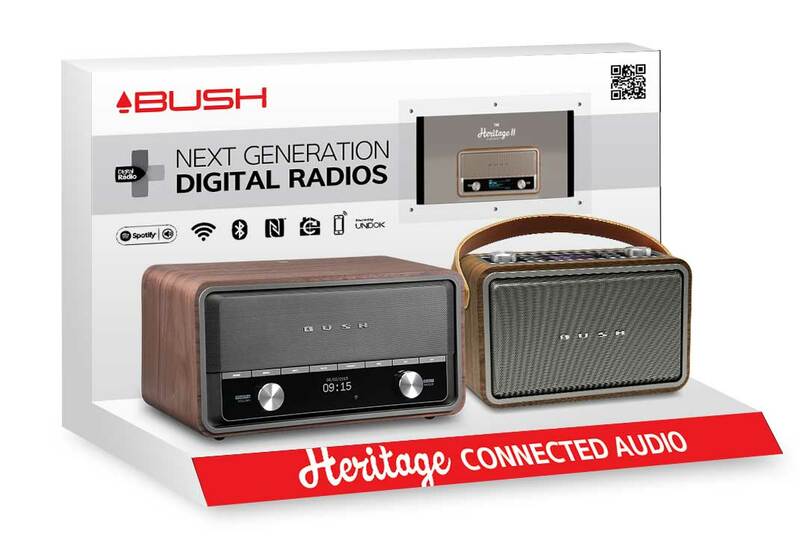 MD has been working with Bush Australia since their launch in Australia, managing the creative execution of their marketing and business needs for brands such as Grundig, Bluapunkt, iLuv, Revo, Bush and Indesit. Managing the creative for thier Gift Boxes and Retial Display systems across all brands. A strong focus cunsumer education, impact and brand was needed to create a unique and strong brand instore. Our aim was for the respective brands to own their category and be instantly recognisable when customers enter the retail stores. In-store display system were designed and produced with 3D animated video for consumer awareness and education.